Your uncle's eggnog isn't the only holiday hazard to be wary of. If you're adding strings of holiday lights to the landscaping on your property, don't ignore the following basic precautions. 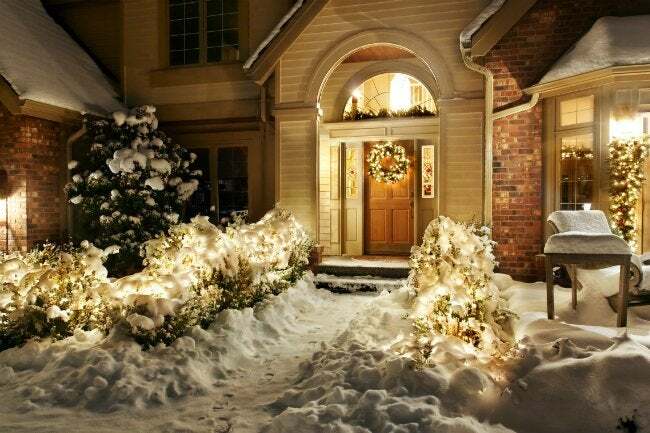 If you’re planning to add holiday lights, not only to the tree in your living room, but to the trees and bushes outdoors, here are a few tips to keep in mind. First, be sure to plug your string lights into an outlet equipped with a ground fault circuit interrupter (GFCI), a protection that cuts power to the circuit if voltage spikes to a dangerously high level. That effectively eliminates the chances of an electrical shock causing a house fire. So if you put on a holiday display year after year, you may want to think about installing a permanent GFCI outlet on your property. Though intended for temporary use, portable GFCI outlets are commonly available at hardware stores and home centers. Another good idea: Invest in extension cords with a built-in voltage detectors. Combined with GCFI outlets, such cords further reduce the chance of an overloaded circuit jeopardizing your home and holiday spirit.